DNA Paternity Test Stories From Our Customers. 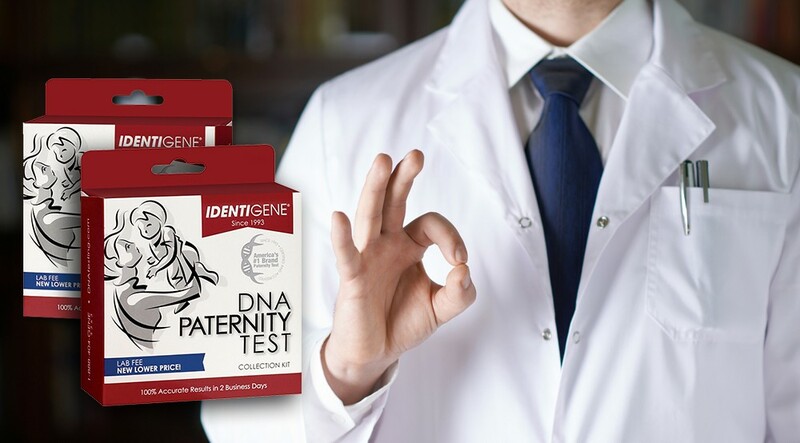 Discover why IDENTIGENE is America’s #1 paternity test brand by reading about real customer experiences with IDENTIGENE DNA Paternity Tests and how it changed their lives forever in these paternity test stories. For more helpful customer insight, visit our Customer Reviews page. Having a father figure or knowing the identity of the biological father is critical so that your child’s health and quality of life is not compromised. The easiest and most reliable way to discover a child’s biological father is to take an IDENTIGENE DNA paternity test. The results, regardless of what they may be, will give you the answers you need to build a strong and happy family. Here are the top seven ways taking a DNA paternity test can make your family stronger. Having a father figure-biological, adoptive, or step-is proven to make children more emotionally expressive (Freakonomics 2011). Children with both a mother and father figure in their lives are able to better regulate their emotions, resulting in less outbursts of aggression and more friendly cooperation in social settings. Having two parental figures who exhibit emotions that positively impact their children are better able to teach their children how to appropriately react and modulate their emotional responses. According to research by William Scott for ParentsAsTeachers.org, involved and nurturing fathers can improve their child’s cognitive abilities, resulting in better school performance and higher IQs (2011). A paternity test often encourages the biological fathers to be involved in their child’s life, and the certainty of the father-child relationship is likely to deepen their bond and make the father more loving and devoted. One incredibly-important reason to get a DNA paternity test is for your child’s health. Confirming the child’s biological father with a DNA test provides you with a record of his family’s health history. This could be beneficial during pregnancy (with non-invasive prenatal DNA testing) or childhood for early detection of any genetic disorders or health risks. Having records of family health history can also inform doctors on the best tests and treatment options for your child. Keeping your child healthy makes your family stronger by reducing the chances of serious illness or disease that could have been detected early on or avoided entirely. 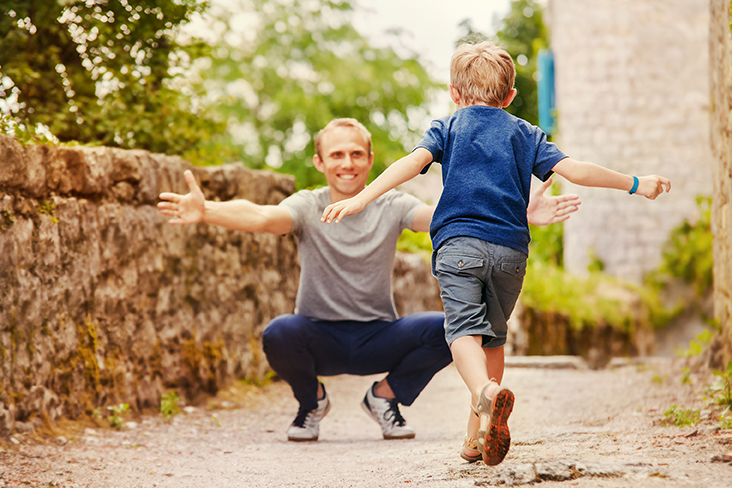 If the biological father of your child does not want to be involved in his child’s life, a DNA paternity test can ensure that he is legally accountable by providing child support. Child support is especially important in single-parent families to make sure the child can be supported financially until they reach an age that allows them to support themselves. Financial strain will not only affect family relationships, it can also impact a child’s quality of life. 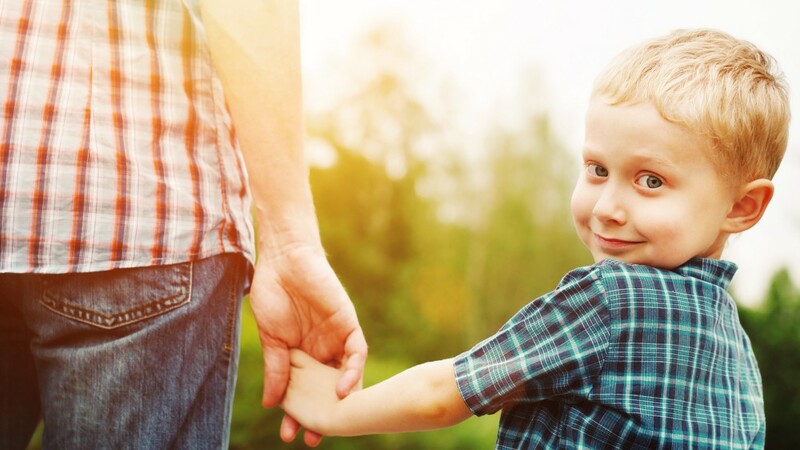 Knowing the biological father can also positively affect a child’s sense of identity. Having a complete understanding of who their true parents are, where both they and their ancestors came from, and how they themselves came into being can help them better understand who they are and take pride in their identity. This information can help them discover their roots and expand their cultural awareness as they learn more about their family’s place in history. As a result this creates a higher self-esteem and more empathetic behavior toward others. 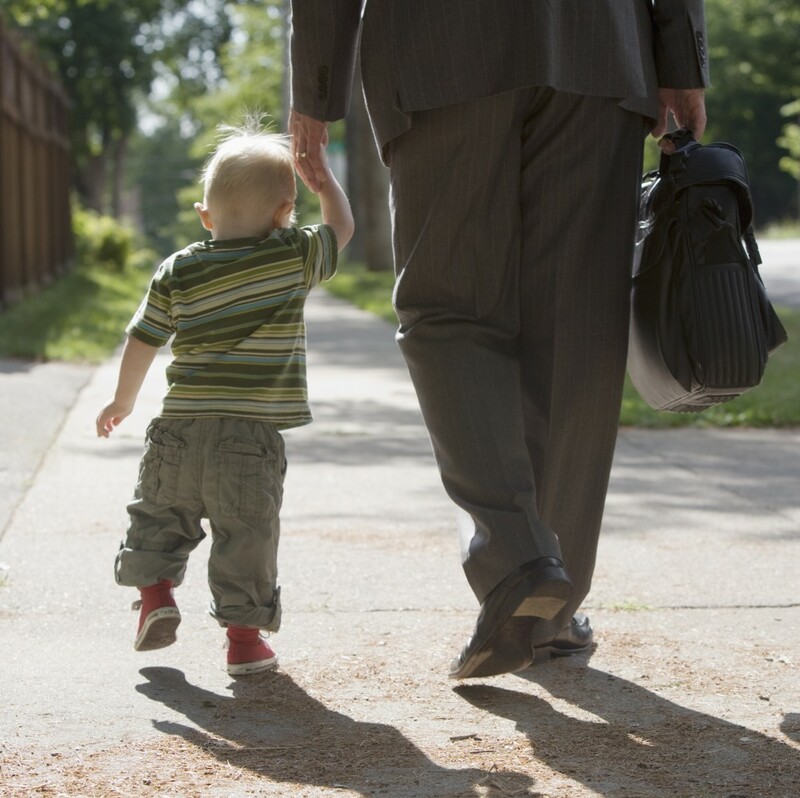 Many studies have found that children with good relationships with their fathers are less likely to experience depression, not only in their younger years, but also far into adulthood (Haskett 2012). In addition these same children are less likely to exhibit delinquent behaviors or become involved with drugs and/or violence. The presence of a good father figure can positively impact your child’s development and well-being, laying the crucial groundwork for a happy and successful life. Most of all, paternity testing can unite your entire family by giving everyone peace of mind. Uncertainty can create distrust and paranoia that, unless addressed head-on, can hurt your chances of having a happy, strong, and loving family. 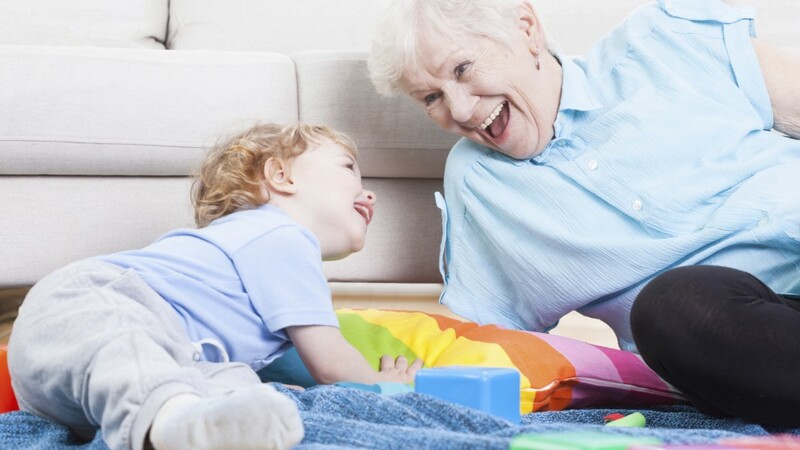 Rather than living without knowing, finding the answers you need can deepen family bonds and ensure that each child has what they need for a happy and fulfilling life. Make your family stronger with an IDENTIGENE DNA paternity test. These areas of child development are based on the presence of a positive father figure, however you choose to define it. This includes any male role model in the child’s life, such as biological fathers, stepfathers, adoptive fathers, extended family members, family friends, and even educators. However, many of the benefits listed above are dependent on simply knowing the identity of child’s biological father, whether he is involved or not. Find a paternity test kit near you and make a stronger, happier, and healthier family today. 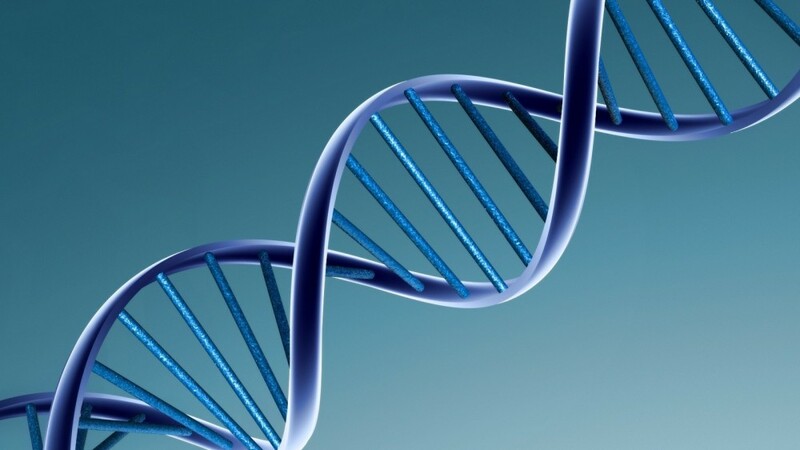 “Benefits and Uses of DNA Paternity Testing – Paternity & DNA Testing.” Paternity DNA Testing RSS. DNA Diagnostics Center, 10 July 2014. Web. 29 Apr. 2015. Evans, Garret D., and Kate Forgarty. “The Hidden Benefits of Being an Involved Father.” The Hidden Benefits of Being an Involved Father. Education.com, 4 May 2011. Web. 29 Apr. 2015. “Gather and Share Your Family Health History.” Centers for Disease Control and Prevention. Centers for Disease Control and Prevention, 17 Nov. 2014. Web. 29 Apr. 2015. Haskett, Mary E., Rebecca Stelter, Katie Proffit, and Rachel Nice. “Parent Emotional Expressiveness and Children’s Self-regulation: Associations with Abused Children’s School Functioning.” Child Abuse & Neglect. U.S. National Library of Medicine, 6 May 2012. Web. 29 Apr. 2015. “How an Absent Father Affects Boys and Girls Differently.” Freakonomics RSS. N.p., 19 Oct. 2011. Web. 29 Apr. 2015. Rosenberg, Jeffrey, and William Bradford Wilcox. The Importance of Fathers in the Healthy Development of Children. Washington, D.C.: U.S. Dept. Health and Human Services, Administration for Children and Families, Administration on Children, Youth and Families, Children’s Bureau, Office of Child Abuse and Neglect, 2006. ChildWelfare.gov. U.S. Department of Health and Human Services, 2006. Web. 29 Apr. 2015. Scott, William, and Amy De La Hunt. “RESOURCES FOR Men in the Lives of Young Children.” YC Young Children 65.3 (2010): n. pag. Parents as Teachers. 16 Nov. 2011. Web. 29 Apr. 2015. How did you find out about your daughter? My daughter was searching for me and she said her first attempt she found me, she went to my Facebook page and there were a lot of clues that I was her father. So she told her mother, then her mother started messaging me on Facebook and I started putting it together in my mind, thinking, something’s going on. Me and the mother talked, and then my daughter started talking, and I was ready to go see her and all that type of stuff so I immediately went. I have two other daughters in Georgia and I picked them up so they all could meet her. Because from the pictures and the way she looked, plus I remembered her mother, you know, from back in the days. Did you have any idea you had a child? I remember in 1991 or early 1992 her mother was telling me that she was pregnant, and that she didn’t know she as mine or not and she had moved to Florida and then maybe somewhere down the line the father (who she thought was her father) took a blood test and they found out he wasn’t her father. So the search began, around when she was 11, trying to search for me. How did social media help you find each other? But you know, back then, there wasn’t Facebook, or social media stuff like that wasn’t big yet. She says she always thought about me all these years. She finally just said I’m going to look for him again. I think one of her Aunts suggested going on Facebook to try and find me. It happened really fast; she added me as a friend and I accepted, didn’t think anything of it. But her mother had added me too, but before I had even accepted she had already messaged me. From the messages you can’t check their page without accepting, and I saw that she had one mutual friend, a name that I had just seen. I started putting it all together. And even after all these years I would always wonder if that was my child. So when I first started talking to her mother I was just excited. Probably a part of me wished that she was mine and from looking at the pictures she definitely looked like me. Both of you were thinking and had that curiosity for all this time; mutual curiosity and persistence is what helped and used social media to your advantage. I’m glad and thankful for Facebook. That’s what made it so convenient for me, and that’s why I chose you guys, for the test.I had heard other people speak about it and now I’m telling my brother about it and online you can see where it is available and how much the kit costs, and it was right up my alley. So it’s not expensive at all to me. Why was it so important for you to take the paternity test? Many people take it for child support, or financial liabilities; what was your reason? I had already accepted her as my daughter. Nine days after is when we took the test. So we took the test because she wanted to know, she wanted to have the knowledge and solve the mystery of it. It’s a good way to go, because even though you can do it for child support services, if you just want to know period, it’s so convenient and so easy and I was taking pictures of her swabbing and it was a big moment. But for me I already knew, but there was still that little voice that always makes you worry. I knew that if I wasn’t the father it would have devastated her, and it would have devastated me. So I’m glad it turned out and we found the truth. That’s why we did it. When I called for results, and you know they were quicker than they said, they said two business days. I got an email saying they received the samples and that testing would take two days but then I got them the next day. I was on the phone talking to Dominique and the chime went off for an email and it said IDENTIGENE, I was like, ‘Oh my gosh.’ I didn’t tell her; I just told her I had to go do something real quick. It was a happy moment for me when I heard the 99.9% and I just couldn’t wait to call her. And then she called and she called me back and we have just been having a good time since then. It was a sense of relief on my part, and from her perspective, I would think it was too! How did your family react to your new-found daughter? My other daughters embraced her from the get-go and they were just as excited to know that the test came back and that she was my daughter. Which is nice because many would think there would be jealousy going on, but you know I didn’t raise them like that. I would always talk to them in between the process and tell them, you know what’s going to happen right if the test comes back that she is my daughter right? And they said, yeah you’re going to take care of her like you do us right? A lot of people testing for paternity usually can’t relate to the situation, but you can? Yes, another thing I share with my daughter is that I never knew my parents either. My father was murdered and my mother just didn’t raise me. I always vowed that if I ever had kids I would be the man that I wanted my father to be, so for Dominique to come into my world I gladly accepted her. I was hoping and praying that she was my daughter, and it turned out to be a beautiful story for me. Not really. My aunt is the one who raised me. It was a good home. I played a lot, but I never knew what it felt like to know my parents so I didn’t know anything else. I never thought much of it, but I still felt neglected at times and other kids would tease me, sometimes about my situation. Kids say cruel things and I heard it all:’Your momma threw you in the trash,” ‘She didn’t want you,’ and that made me an aggressive little kid ; it made me shy and I didn’t want to be around other kids because I thought they were going to tease me. I avoided a lot of people. When school was out for summer, I never tried to be around other kids. I just knew that if I ever had children, I wanted them to know who I was as long as I was still around. I just didn’t want my kids to ever have to go through what I had to go through . . . not knowing who my parents were. The definition of fatherhood, do you think it includes needing to live under the same roof? No. My daughters are all close; we don’t live in the same state. There is still a strong connection, we talk, Skype, text. They don’t have to worry about finances or anything. In my situation, my aunt raised me. She isn’t even my biological mother. . . her sister is. Even if she would have come around for some school clothes or acknowledged it was my birthday, or Christmas. I would have had so much more respect, not that I disrespected her but I never had any sort of insight on her. All she had to do was be there partially. I knew she didn’t want to be the full time, obviously, which is why I grew up with my aunt, but she never was. And I’m not in the household with my daughters but they call me, and they tell me about their school. They know they can count on me, because I’m their father. You don’t have to be in the same household, I would have loved that, but you know me and their mother didn’t work out, but we have that relationship where we can still both be parents and both raise them. As a kid, we need to see our parents setting examples that set a good foundation. My aunt would take us to church and do some chores. Our elders teach us the basics we need to make decisions later on. I think with girls, when they don’t have their father setting an example of what to expect, in my opinion I think they’re the ones that have a higher chance of choosing the wrong men to date or be around. I treat my daughters like a gentleman, and so they know how I feel or what I would expect from another man to treat them. I treat them with love, and that what I hope and expect from someone else. We all need to know how to be a parent, it’s much more than a title you get. How does one become a father to someone they didn’t know even existed? Never have a dull moment, learn about each other, and soak each other up. Admire each other and you accomplishments. I’ve told her how lucky we are that we were able to find each other, because a lot of other people never get to meet their father. Or I could have been deceased, another situation is I could have been married and I could have been scared that my wife didn’t want to have to do anything with a child from a previous relationship. In my opinion, even if I had a wife, I would expect her to understand that I can’t have one of my children be outcast. I would not understand someone who wouldn’t want to take on the role of being a parent. Everybody deserves to know who his or her parents are. I never knew mine, Im not sour about it, but I just make sure my kids know me. Family needs to reach out, just like mine is, and welcoming her and being excited, it makes I easier to catch up that way. What advice do you have for all the people out there who haven’t taken a test yet because they are scared, nervous, or afraid of judgment? My answer is if you really want to know, just go and do it. I just wanted to find out, it was something that I needed to do. And here comes an affordable and easy way to do it. Why wouldn’t you get all those questions answered without going out of your house? I even went online and looked at reviews and checked it out, I saw good reviews because people say what they feel and I liked it. The DNA test will just assure you and clear those doubts. I’m glad I took it before I have no regrets to know OFFICIALLY. They should just do it, to just stress myself out EVERYDAY not knowing, You know, everyone has different situations, you may not be set up like I was and not everyone will react how I did, but if you want to know, and you think it is as important as I thought it was, then you should definitely do it. I know I was a little worried as well, I was nervous but don’t worry about it, if you have to be low-key about it, then you can because of how it is set up and how IDENTIGENE does things. You swab, put it in the mail and it’s gone, the rest is through the phone. It’s great to use it, no going to the doctor, just from home. We made sure to follow all the instructions, it was so clear to follow you know, no eating, nothing, makes it easy to not mess it up. Ultimately, it doesn’t matter the situation, if your situation involves you wanting to know then you will just do it. How was your experience with IDENTIGENE? It made my day to know. Even the people I called for results are so friendly. When I first was going to mail it off I called that first day and they explained it to me, they were so friendly and it was easy to get along with them and it was a good conversation. The things I was told over the phone, was exactly what happened. It was a great experience. I even had to call back because I was kind of worried saying, ‘Ma’am we swabbed 3 days ago and it’s been in the pack and we just mailed it today.’ She said it was okay because it lasted 6 months. Just everything was great and helpful. Especially at the very end when I called for results, and the emails that are sent. What was the hardest thing for you to grasp or understand? When the lady first read my results I thought I wasn’t the father, I heard the ‘not excluded’ and my heart kind of sank, it scared me, emotions were high and I froze up, but I heard the 99% and I said, ‘So I am the father?’ and she said ‘Yes!’ I was thanking her so much as if she was the one that tested us! I immediately called Dominique, she was nervous too! I would say that was the most confusing thing, but it lasted half a second. She called and gave the password and three minutes later, she and I were talking together again! I want to share my story because it feels good and I want someone else to hear it, or maybe they need to hear it. If not teach a man to be a better father because there was no way I would deny her, there is no such thing as it being too late to be a father to a child, no matter what age or time. I hope more people can use this test to find answers like it has helped me. I would advise IDENTIGENE to anyone, I promise, any situation I recommend it. It’s affordable. You can’t put a price on this new relationship with my daughter, and even if it is to prove to someone you are not the father, I know that is a situation that can relieve so many these days. Thank you Randy for all our heart-felt and honest answers. We hope that your words can inspire many to find out the truth.